Thomas Deans Fine Art presents “Eight by Two,” an exhibition of new paintings by Curt Butler and Christina Foard, opening April 24. At first sight, the two artists couldn’t be more different. Foard paints complex abstract images in oils that in her own words, are “process oriented and involve highly physical techniques.” By contrast, Curt Butler’s current body of work, in oils and encaustic [wax], is rooted in figurative imagery—children at play. Yet both artists’ paintings are a pathway to memory. Each artist has contributed eight paintings that create a visual dialogue between figuration and abstraction. Opening reception, Friday, 24 April, 6:00 – 8:00 p.m. The exhibition continues through 6 June. Gallery hours: Monday-Saturday, 11:00 a.m. – 5:00 p.m. 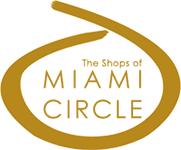 The gallery is located at 690 Miami Circle, Suite 905. More information is available at www.thomasdeanfineart.com.